No matter whether you are looking for any commercial property or 2 BHK flats in Lucknow, Samiah International Builders Pvt. Ltd. will be the right place to buy the property from. A renowned name in the real estate industry in Uttar Pradesh and Uttarakhand, Samiah Builders deals in every sort of property, residential and commercial. For last many years, the company has been working on several projects, all of which are outfitted with the maximum modern amenities. 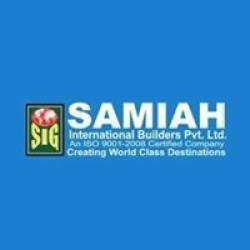 Contact Samiah Builders today and buy commercial and residential flats in Lucknow at reasonable prices.